Welcome to the website for Second Thyme Around! As a lifelong dream to open my own shop and years of being in the antique and crafting business an opportunity came up and I opened Second Thyme Around on March 1st 2013. 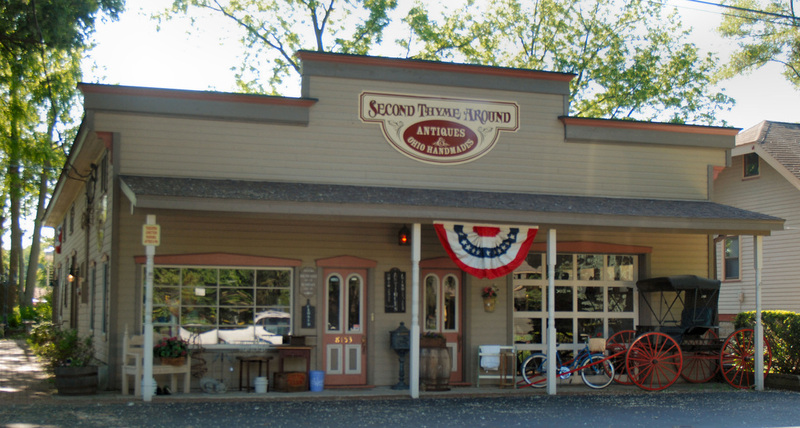 Second Thyme Around is located in Northern Ohio just outside of Cleveland. We are at 8153 Orchard Street in Historic Grand Pacific Junction, Olmsted Falls, Ohio. 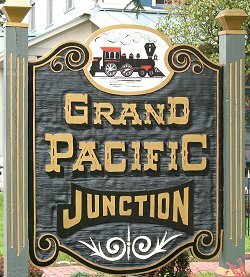 Grand Pacific Junction is an area destination for visitors who love a one of a kind shopping experience. We have 4 rooms which will provide you with antiques, handmade items, home baked goodness, and upcycled primitives and trinkets. Our rooms are named: Antique and Old Stuff Room, Ohio Handmade Room, Kitchen Cupboard, and the Backroom. In addition to our shop, we have the Seasonal Cottage which has many items of the current season upon us – it is just a few brick steps and an outside garden away from our regular shop. All the rooms plus the cottage are described further on each room’s page. While you are in Olmsted Falls, you’ll want to visit all the other shops in the Grand Pacific Junction. It is a quaint area of pedestrian friendly specialty shops and family owned restaurants. Walking around the Junction will take you back more than 100 years as you take in the mystique and intrigue of various architectural designs and the ambiance of unbelievable nature. It is one of the most authentic and original revitalized downtown historical districts in Ohio. The big draw is the magical Grand Pacific Outdoor Wedding Gardens which is located across the street from the shop. It is nestled by a flowing creek in the perfect place for a romantic outdoor wedding or reception. Voted #1 Antique Shop in the Cleveland Area 2 years in a row! 2014 & 2015! Thank you to all our customers, followers and voters! !